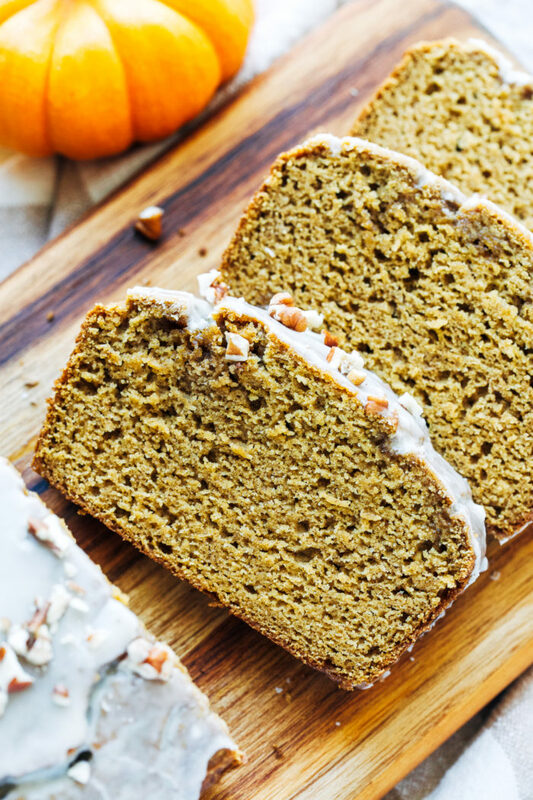 Healthy Pumpkin Bread- made with a combo of whole grain brown rice flour and low-carb almond flour. So good you would never guess it’s gluten-free, dairy-free, and refined sugar-free! Oh boy, have I got a pumpkin bread for you! When I have a recipe turn out this good it makes my heart sing. Mostly because it’s proof that you don’t need a bajillion flours, starches or gums to bake delicious gluten-free treats. It’s as simple as combining brown rice flour and almond flour. Bada bing, bada boom. That’s been my go-to flour combo for a while now, as seen here, here and here. The texture always turns out perfect. Soft and moist with a delicate crumb. No gumminess whatsoever. 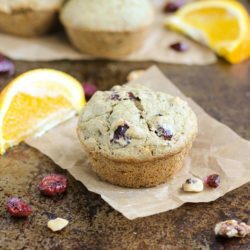 The best part is that brown rice flour and almond flour are both nutritional powerhouses offering up a significant serving of fiber, protein, vitamins and minerals. Because I mean, wouldn’t you much rather sit down with a cup of tea and a slice of drool worthy whole grain pumpkin bread than a glass of Metamucil? I know I would. I’ve never even had Metamucil but I can imagine it’s nothing to shake a stick at. 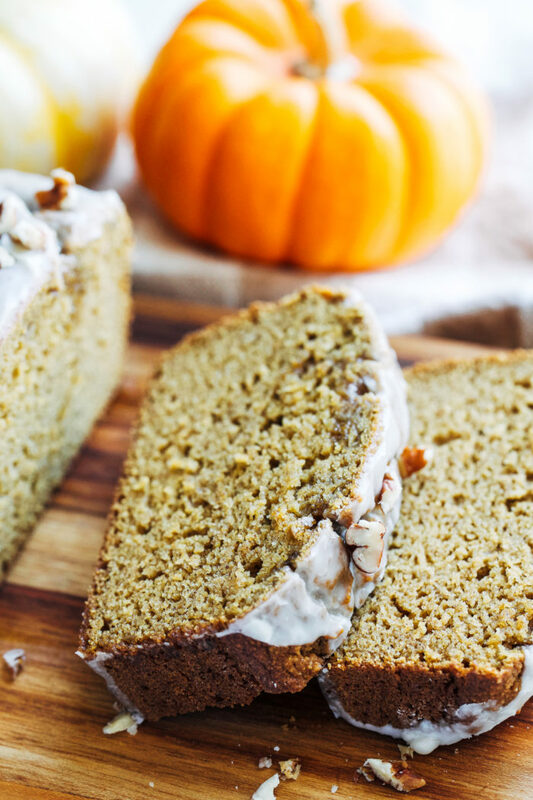 So let’s talk about how easy this pumpkin bread is to make. We start by combining said flours with spices, baking soda and salt in a large bowl. Then we add the wet ingredients to a blender and blend for about 30-seconds, until the eggs get nice and frothy. This step helps give the bread a lighter texture. Trust me, it’s worth it. After that we pour the wet ingredients into the bowl with the dry, fold them together, transfer to the loaf pan, bake and inhale the dreamy scents of fall coming from the oven. Once it’s cool, you have the option to top it with the Vanilla Maple Glaze that I used for these cookies, or you can stir in chocolate chips/nuts and dried fruit to the batter prior to baking. Whatever tickles your pickle. 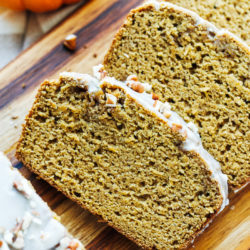 I hope you love this pumpkin bread as much as I do! Enjoy, friends! In a large bowl, combine the almond flour brown rice flour, cinnamon, ginger, baking soda, and salt. Stir together then set aside. 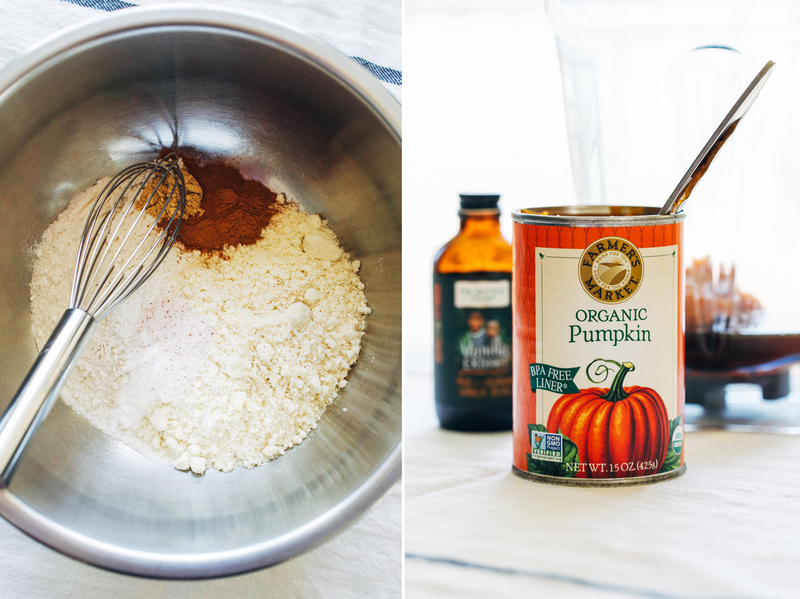 In a blender, combine the eggs, almond milk, pumpkin, maple syrup, vanilla extract and oil. Blend on high for 30 seconds, until frothy. Pour the contents of the blender into the bowl with the dry ingredients. Using a spatula, fold the wet ingredients into the dry until just combined. Careful not to over-mix. Transfer the batter to the loaf pan then bake in the preheated oven for 30 minutes. Allow to cool for at least 15 minutes before removing from the pan. Top with glaze (optional), serve and enjoy! Feel free to mix in your favorite nuts, dried fruit or chocolate chips. To give it more of a spice, try adding a pinch of cloves and nutmeg. If you’d like it top it with a glaze (as pictured) whisk together 1 cup organic powdered sugar with 1 tablespoon almond milk, 1 tablespoon pure maple syrup and 1/2 teaspoon vanilla extract in a small bowl, until smooth. Pour over the top and allow to set. 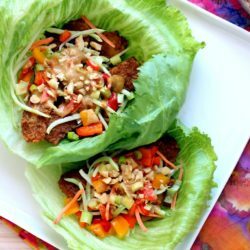 Last year I loved your zucchini bread with almond and brown rice flour. I am determined to make this bread this weekend! Just gotta stock up on brown rice flour and pumpkin. :) Can’t wait to taste it and report back! Keep me in mind for your book deal. ;) I’d do it for free! 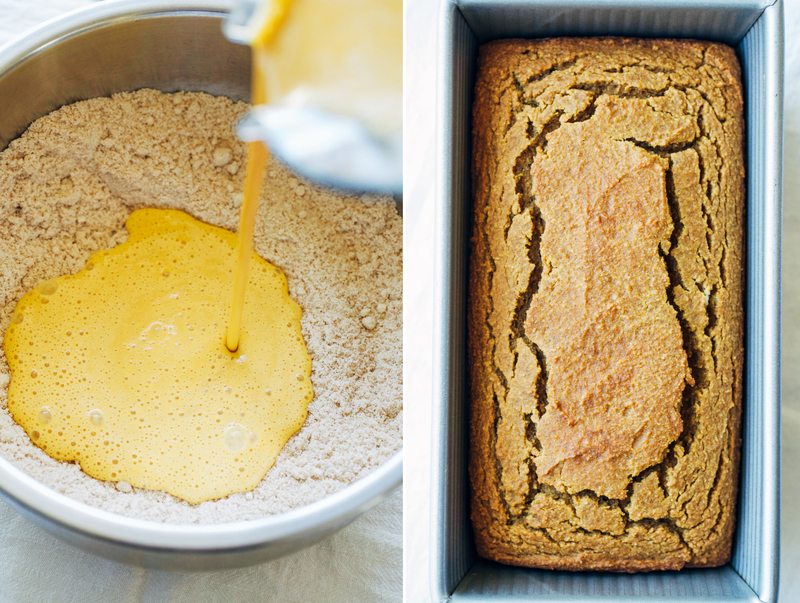 This is like my DREAM gluten-free pumpkin bread. I adore your oat-y pumpkin chocolate chip muffins, so I betcha I will LOVE this recipe. I wanna whip up a batch and bring it home when I visit family this weekend. This looks SO lovely! 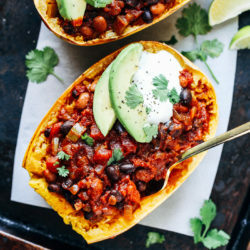 I was hoping you would post another pumpkin recipe, so thank you! 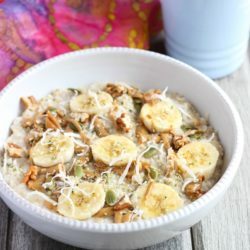 One question, I have Trader Joe’s almond meal in stock here; do you think I could use that to replace the almond flour, or is almond flour necessary to the success of the recipe? Thanks for your help. I look forward to making this! Ahh this looks so good, and you’ve totally got the gluten free baking down girl! It still confuses me so I tend to avoid it…oneeeeee of these days I’ll start experimenting with it more! <–hold me to that. I don’t even need to avoid gluten and I want this haha. 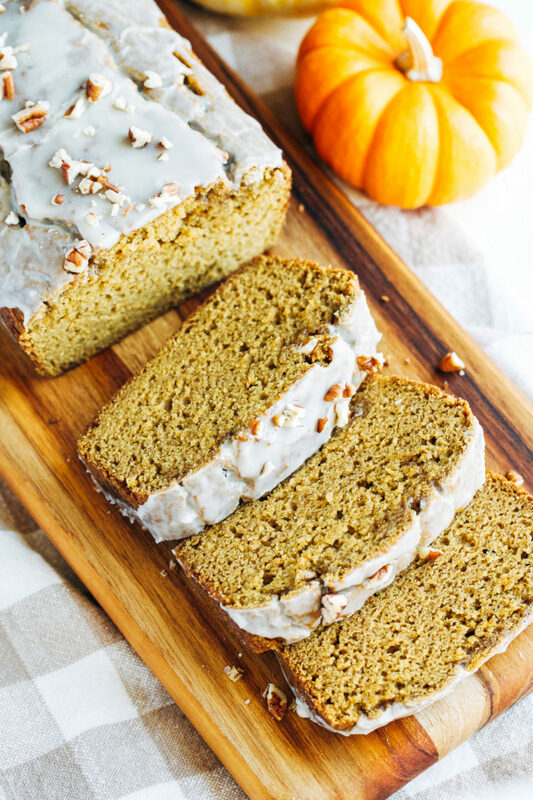 Pumpkin bread is the perfect quintessential fall food! I don’t need to avoid it either but I honestly rather eat this version than one with AP flour. It tastes just as good and at least I know I’m getting something for it! You poor thing! I hope it’s finished soon! Your photos are GORGEOUS! I am totally loving this stunning gf bread :) Pinning! You’re too sweet, Traci! Spelt is awesome. I need to get my hands on Alana’s cookbook! 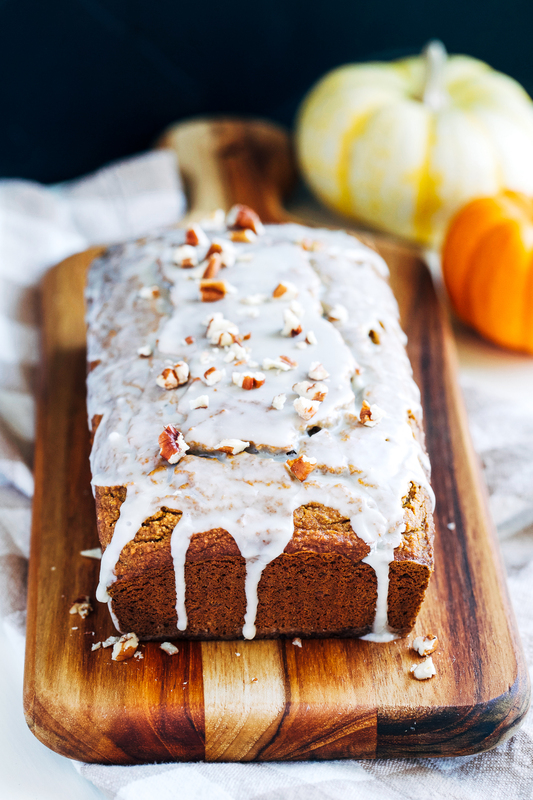 The topping drizzled on this pumpkin bread looks like perfection, Sarah! Pumpkin bread is definitely a favorite of mine this time of the year. I can’t get enough of it! I NEVER COMMENT ON ANYTHING EVER – but I HAD to comment on this recipe. AMAZING – I’ve never baked gluten free before, but Ive had other gluten free breads and they were always meh. This bread seriously came out smelling and looking amazing. One bite and i was in heaven…i literally feel like i’m eating a pumpkin cloud. I was so excited when I saw this in my email. It did not disappoint! I’ve made it twice in the last 2 days. The first time, I baked for 30 minutes but the center of the loaf needed more time. The second time, I left it for 45 minutes and it was perfect! Delicious!! Not too sweet – it lets the pumpkin shine through. Yum! Beautiful texture too! Will make again, freeze and serve sliced and topped with a dollop of homemade whipped cream as one of the desserts for Thanksgiving. 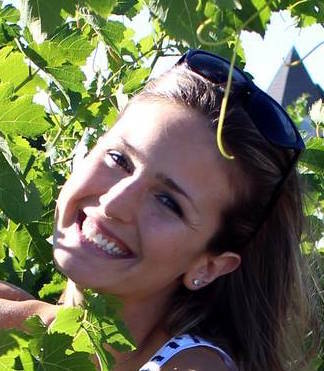 Hi Sarah….what can i substitute for the 2 eggs in the recipe. I am vegan. 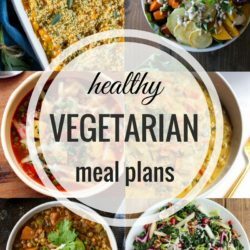 Can I use flaxseed meal? Hi Padmini! I haven’t tried it with flax eggs but it should work okay. It will probably change the texture but the flavor should still be good. Please let me know if you give it a go! I made this last week and loved it! Thanks so much for the recipe. 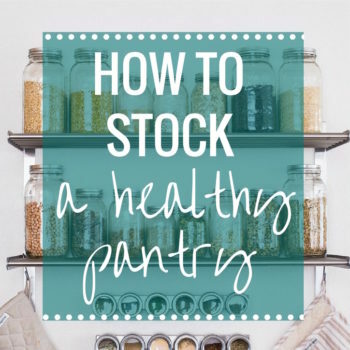 So many of your recipes are weekly staples in my house! Yum! I cannot wait! =) I meant to ask in my last post – do the pumpkin loaf and zucchini loaf freeze well (or any of your almond meal/brown rice recipes?) Not sure if you have done it but I thought I would ask. Hi. Finding you and your site for the first time. I did have the almond meal but had to substitute 1/2 cup coconut flour and 1/2 cup Bob’s RedMill All purpose gluten flour for the brown rice flour. I noticed that when I mixed the wet into dry, it didn’t remain “batter-y”, it was more like a muffin mix. more solid than liquid. Its in the oven anyway. Can you let me know what I may be missing? Was it the flour substitution or the fact that I didn’t use a blender to whip together the wet ingredients? Thanks so much. Have a feeling its going to be delicious anyway. :) Had fun making it, quite simple. It’s definitely from the flour substitutions. Coconut flour is extremely different from grain based flours as it absorbs a ton of moisture and requires an excess amount of eggs to yield good results in baking. That is why I rarely work with it in my recipes. Next time try it with just the AP GF and it should turn out much better!